This unique reminder of the Island’s history – thought to have been used to boost the flagging voltage at the end of a long supply feed – has been lovingly restored by Island Roads. An ornate electrical junction box that reveals much about the Island in bygone days has been renovated by Island Roads. 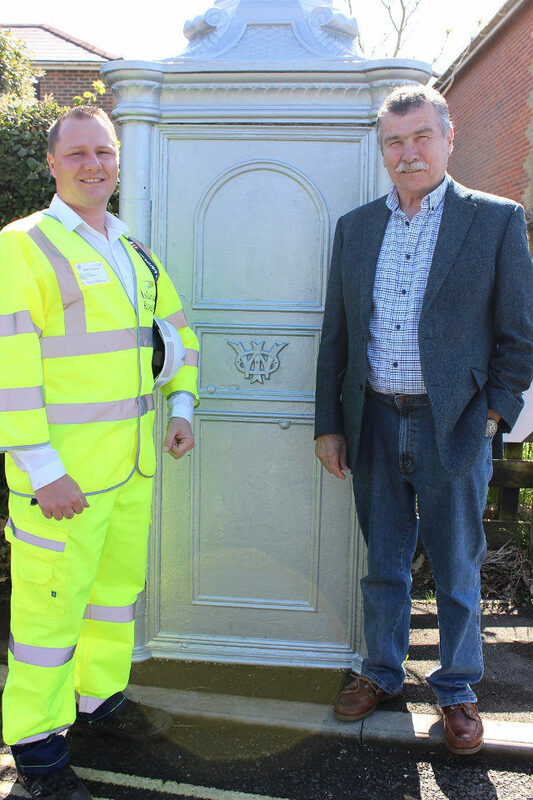 Working closely with the Isle of Wight Council’s conservation department, the Grade ll listed junction box at the top of Oakhill Road has been carefully repainted as part of the Highways PFI contract. It is believed the kiosk was erected around 1900 for the Isle of Wight Light and Power Company to a design attributed to the Callender Iron Co, Falkirk and it is thought to have been used to boost the flagging voltage at the end of a long supply feed. The square kiosk is cast iron with each face just over a metre and it stands at just over two metres high. The sides, including the door, are decorated with three panels, the top one arched. “It is important that the Island’s history is preserved so I very much welcome this restoration by Island Roads. 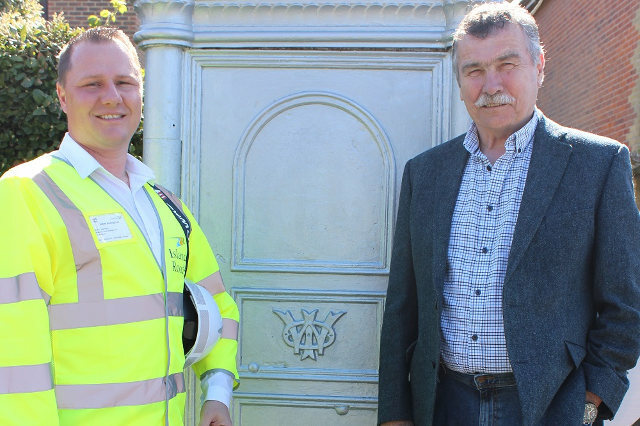 John Barry, Island Roads district steward for the area including the junction box, said the work involved careful preparation of the kiosk and then re-painting using a silver colour agreed with the IW Council’s conservation team.